I let out an exaggerated sigh. “You know, Aunt Margaret, this brush is way too good to be used for painting the house.” I ran the soft bristles over my hand and admired its perfectly formed wooden handle, while at the same time appreciating it for its greater potential. “Too good to be used to paint? That’s a pretty lame excuse for getting out of painting the house with me today. C’mon, Peggy, surely you can do better than that.” Aunt Margaret pried off the lid and started stirring the turquoise paint she’d bought that morning. “I admit it’s not something I feel like doing. But I’m serious. This brush would be perfect for excavating —” “Ha! I should have guessed — excavating indeed.” Aunt Margaret snorted out a laugh — a trait of the women in my family. “Yes, excavating,” I defended, feeling annoyed. 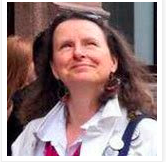 Peggy is off to a Viking site in North America where she unearths the remains of a brave young warrior. It’s a dream come true for Peggy Henderson when her friend, Dr. Edwina McKay, lets her tag along to the Viking settlement at L’Anse aux Meadows National Park in Newfoundland, where Dr. McKay will be teaching archaeology field school for the summer. Peggy already knows a lot about archaeology — having been on three previous excavations — but does she need to brag about it so much? After alienating herself from the other students with her know-it-all attitude, Peggy accidentally discovers a Viking burial cairn. The students and archaeologists are ecstatic. But when it comes time to excavate, she’s banned from participating in the dig. Will Peggy’s trip to Newfoundland end just as badly as the Vikings’ did? She’s afraid it will — that is until she learns an unexpected lesson from a Viking warrior. When I was nine, I really wanted to be an archaeologist. My aunt in America sent me a grown-up encyclopaedia of how to be one – which I still have and treasure. But oh, how I wish books like A Bone to Pick had been around then! It bridges the gap between fiction and information books skilfully. You learn a lot at the same time as going on an adventure. It’s not a style of writing that suits everyone – some readers don’t want the technical side, and some don’t want the story – but the geeky proto-archaeologist me would have loved it. 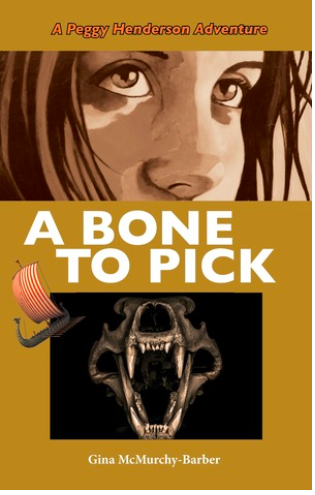 A Bone to Pick has double value -there are actually two stories each from a different time. Twin tales, Vikings and digging up bones – what’s not to like? And it’s written by an archaeology expert and teacher. There are three other Peggy Henderson adventures – my only request would be that they’d come with more illustrations. Still, they are perfect for the young would-be Indiana Jones or Lara Croft – but with rather more realism. Just the ticket for the reader who’s not sure they like fiction – but who finds Vikings, skulls and the like fascinating.